Find out how Spinnup works with Spotify, Universal Music, and other major labels to discover the very best talent. Learn how to upload your music to Spinnup, get your tracks on all major streaming services, like Spotify, and get your music heard by some of the world’s leading record labels. So many great things come from Sweden – ABBA, IKEA, Spinnup and Spotify. Arguably one of the biggest music brands in the world, Spotify has been a driving force behind the rapid growth of streaming services over the last few years, and are one of our key distribution partners. Start at the beginning – what is Spotify? Spotify is a music streaming and subscription service that began in 2008, and now has over 100 million active monthly users! 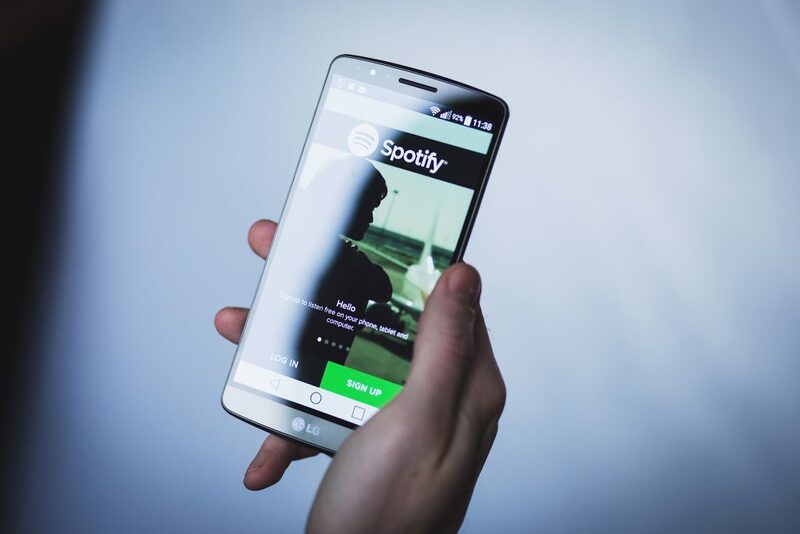 Spotify offers users a free service that includes advertising, and a premium paid tier that gives users access to ad-free streaming, offline listening, better audio quality and much more. Of their 100 million active users, 40 million pay the monthly subscription fee for the premium service. It is available in 60 countries around the world, making it one of the largest streaming services on the market. Users can listen to Spotify by downloading the app or desktop program or stream through the web player. Spotify music can be streamed on phones, tablets, computers, in compatible cars, TVs and sound systems, on Playstation and Android Wear. What’s so great about streaming? 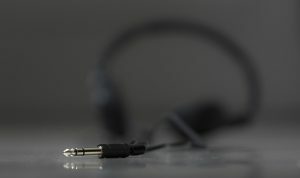 Streaming services like Spotify give users the ability to listen to a world of music anytime, anywhere, on a range of devices. Audiences are listening to more music than ever before thanks to platforms like Spotify making it easier for audiences to discover, access and listen to music. Most artists today are on streaming services, and we think you should be too! The easiest way is with Spinnup. You can only get your music on Spotify by using an artist-aggregator like us. Once you have made an account with Spinnup, all you need to do is login to the artist area and create a release. After it has been approved by our team, your single, EP or album will be available for the world to stream in 2-7 business days. Why is Spotify so important to Spinnup? We have a special relationship with Spotify, and are lucky to be provided with a huge range of data and information that we integrate into every artist account. From the Overview page in your artist account, you can track the streams of all your music, or individual releases, which are displayed in attractive, easy to understand graphs. Each music platform is different and delivers their data at different speeds, but Spotify is among the fastest, supplying trend data early to give you an idea of how your release is performing from day one. Why should I use Spotify? Dedicated artist pages where you can edit your ‘About’ section, create artist playlists for your fans, promote your gigs and sell merchandise. You can access and edit your profile in your Spotify For Artists account. Read our comprehensive guide to all the features and how to use them. Get on a playlist, using Spotify’s playlist pitching tool. Read all about it here. What can I do to increase my streams? Once you have your music up on Spotify, you have the potential to reach literally millions of listeners around the world. But how do you reach them? There are a few things you can do to increase your streams, which will, in turn, increase your earnings. This is what Spotify calls their embedded music player. If you have a website or have a site writing about you and your music you can embed the player into the web page using the embed code Spotify supplies. Each time someone plays your music from here, it will count toward your streams. Posting Spotify links on your social media will do the same! Spotify and its users have created over 1.5billion playlists on the platform. By analysing these playlists and learning about what music people like, Spotify’s algorithms then populate each user’s unique Daily Mix and Discover Weekly playlists, recommending artists they think that listener will like. By getting users to follow you via the ‘Follow’ button on your artist page, you will automatically be added to the user’s Release Radar playlist every time you release new music. Sometimes getting onto one playlist is all it takes to launch an artist. Influencers such as brands, music bloggers, magazines, websites, radio stations and public figures curate their own playlists which can accumulate thousands of followers. Getting on one of these can hugely impact your streams. But how do I get on a Spotify playlist? Spotify has built a tool within the Spotify For Artists account, which allows every artist to pitch their music to Spotify owned playlists. Once you have made a release with Spinnup and it has been approved, it will appear in the ‘upcoming’ tab of your SFA account and from there just follow the steps to submit. We’ve broken it down step by step here. Remember, you will need to release your track at least two-three weeks before release date to be able to do this. For non-Spotify owned playlists, start by searching for and follow playlists that you really like, or think your sound might be appropriate for. Take a look at what other artists they have in there, how many followers they have, and whether the playlist is updated regularly to see if it’s a good fit for you. Now the hard part – finding a contact. The username of the person or brand will be at the top of the playlist and you can use this to search for them online or on social media. If you manage to find their email address or social media profile to message them, put together a short pitch on yourself and the song you want them to add to their playlist. Bear in mind they likely receive many emails just like yours every day, so you want to make yours stand out, but always remain concise and professional! Include links to your music, social media, website and any press or reviews that may have been written about your music or live shows. Now it’s all up to you – sign up to Spinnup, create your release and you could soon have your music on one of the world’s biggest streaming services. Read about some of our other retail partners, such as Apple Music and Deezer. Read more about Spotify and download it at www.spotify.com.